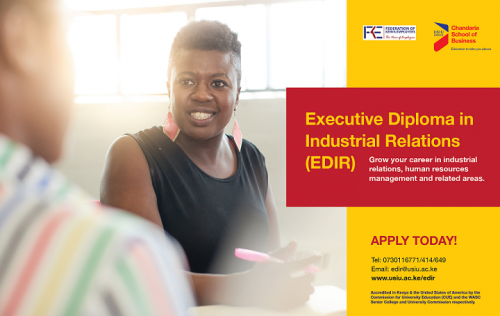 The diploma program is aimed at those seeking a specialized qualification in Industrial Relations. It focuses on theory, law and the practical application of the primary knowledge and skills is required for those who work in industrial relations, human resources management and related areas. The program’s primary objective is to enable managers/professionals to make a more effective contribution to their organization, by increasing their understanding and skills in effective industrial relations management. Students are expected to determine the industrial issues prevalent in an organization and recommend appropriate intervention measures, provide transformational leadership and change management skills in an organization, formulate, implement and evaluate policies and laws that touch on industrial relations and undertake relevant managerial research projects in the context of industrial relations. Fridays (6.00pm – 9.00pm) and Saturdays (9.00am – 6.00pm) for six weeks. 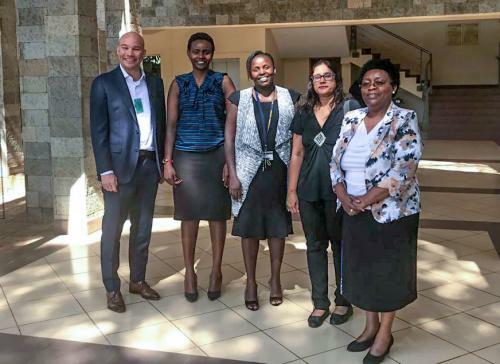 The Industrial Relations Practicum takes two (2) months and involves students attending practical sessions at the Federation of Kenya Employers (FKE) and the Employment and Labour Relations court. At FKE, students witness resolution of issues and employer negotiations with trade unions through such instruments as a Collective Bargaining Agreements, while at the Employment and Labour Relations Court, students attend court sessions and prepare case studies. While no formal exams are administered, various forms of assessments are used such as case analyses, individual and group presentations.